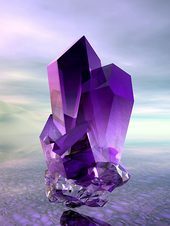 ​The crystal infrared energy is what brings about relaxation. 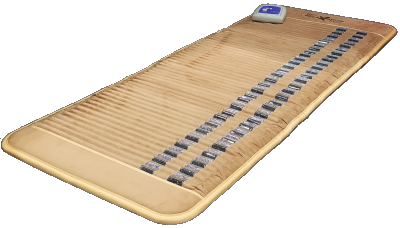 The Infrared/Magnetic Mat also generates an optional alternating magnetic field for body stimulation and stress reduction. These mats can be slept on all night, or used in relaxation sessions during the day. ​You will love these mats! Our Infrared/Magnetic mats with Amethyst and Black Tourmaline are designed to enhance relaxation and give a greater sense of well-being. This is a must-have product for anyone seeing to improve their health and vitality. Infrared is a type of light that is invisible to our eyes. Infrared is a band in the electromagnetic spectrum just below the frequency of visible light. The prefix ‘infra’ means ‘below’ (lower frequency than red light). About 49% of the energy from the Sun that warms the earth is infrared. The spectrum of light that appears to be most resonant with cell tissues falls within the infrared spectrum. The human body both sends and receives infrared. The body emits infrared wavelengths between 3 and 50 microns with the greatest output around 9.4 microns (1 micron = 1 millionth of a meter). Within the infrared spectrum, in the 6-14 micron range, are rays known as the "Vital Rays." These rays have been shown to be most beneficial to the body. The Infrared/Magnetic Mat is tuned to deliver infrared within this vital ray spectrum. This tuning of the infrared is why the these mats resonate so well with the body.